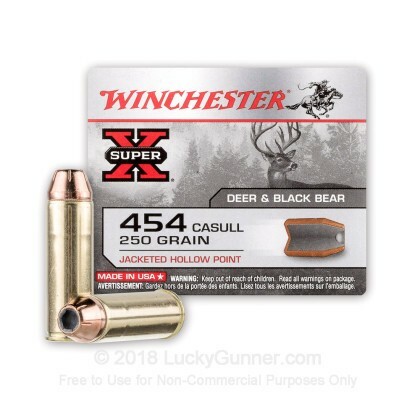 This .454 Casull ammunition from Winchester's Super-X series delivers strong performance in a hunting sidearm and can bring down boar and deer alike at close range. 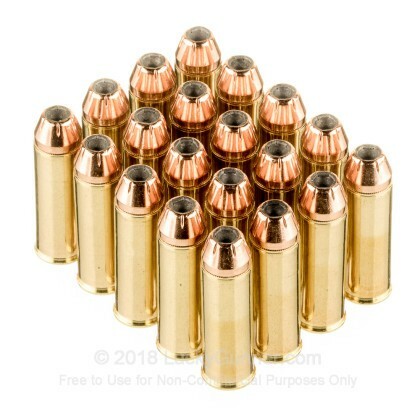 Each cartridge in this box of 20 fires a large 250 grain jacketed hollow point bullet at a muzzle velocity of 1,300 feet per second. This high velocity comes with heavy recoil but gives the bullet a very good chance of expanding into a high diameter mushroom to bring down your target quickly and cleanly. The .454 Casull cartridge was released in 1959. 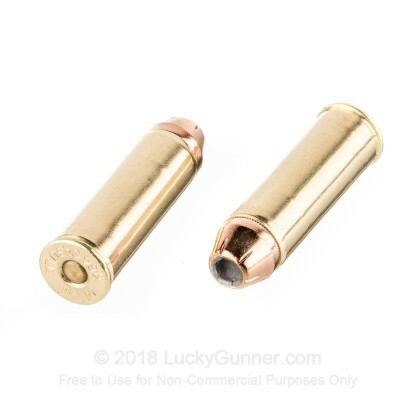 It can be considered a longer, stronger version of the .45 Colt, which can be fired through a revolver chambered in .454 Casull much like the .38 Special can be fired from a .357 Magnum. 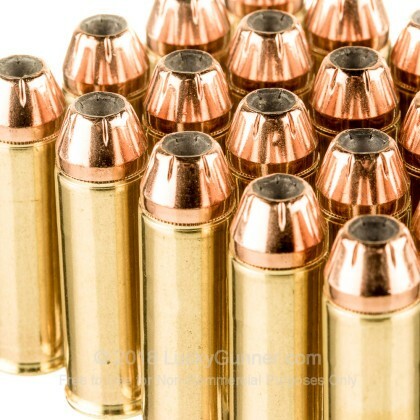 The .454 Casull ranks among the most powerful handgun cartridges available, with revolvers available from Freedom Arms, Ruger (Super Redhawk) and Taurus (Raging Bull). 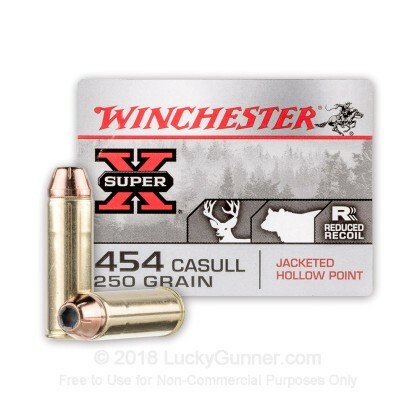 We don't have any reviews yet for this particular 454 Casull ammo from Winchester. 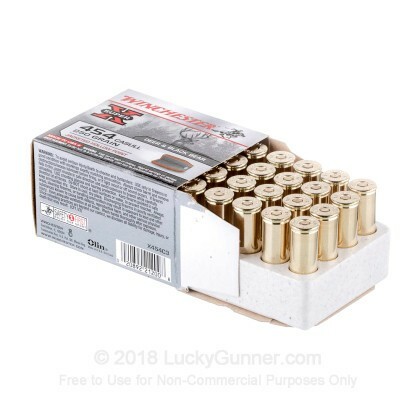 If you'd like to be the first to review this particular 454 Casull ammo from Winchester, fill out the form below.